Pure pleasure on the descent from Airolo to Biasca. In the afternoon, from zero to the regatta - sailing for beginners. Instead of having to push the pedals you can let your bike do the work on this part of the trip. You will be able to enjoy scenic and cultural highlights e.g. the old Dazio-Grande customs house above the Piottino gorge, the 12th century Roman San Nicolao church and wonderful stone houses in Giornico as well as modern constructions which are sure to impress you such as the imposing Biaschina viaduct of the Gotthard motorway. At the same time you can marvel at the artistic work of the railway engineers of hundreds of years ago. 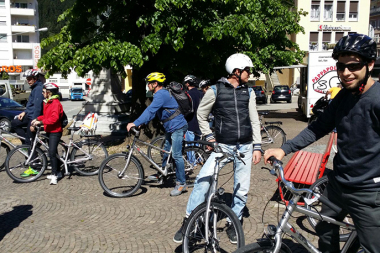 The bike trip will take you along the Ticino, out of the Alpine region, through the varied district of Leventina which is steeped in history and down to the almost Mediterranean level where southern vegetation such as chestnut, palms, pines and vines flourish. The route will be mainly on bike paths and the canton road is only occasionally used by motorised transport. During the trip we will stop off for a coffee break and a Ticino style lunch will be served in a grotto in Biasca in a Mediterranean atmosphere. 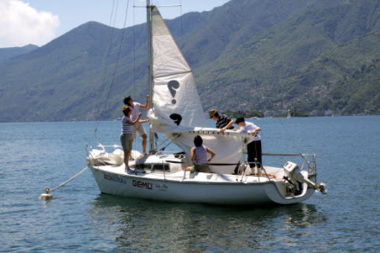 After the transfer from Biasca to Ascona, further adventures await you on Lake Maggiore! On board, your skipper will reveal the secrets of sailing to you i.e. steering, using the sheets, giving commands, sail trimming etc. Previous knowledge is not essential. You will sail the boat out of the harbour together and set the sail. With the help of your skipper you will soon learn how to control the sailing boat and will enjoy being driven along on the open water by the wind. To finish, you will set off for the exciting regatta – a trophy awaits the team with the best team sprit and tactic. An optional aperitif will end the day. Sailing is the perfect team building event as a sailing boat does not sail on its own. There are many tasks and roles and only the coordinated cooperation in the team will bring the boat on its course and to its destination. Hereby you don't have to be able to do everything but you must conscientiously complete each task assigned to you. Similar to everyday work, it will become clear that each individual task is important for the overall success. Guided bike trip from Airolo to Biasca, bike hire, lunch in the grotto, transfer to Ascona sailing regatta (introductory sailing course for smaller groups), supervision by experienced eventerlebnis guides. A good mood! Basic fitness level for the cycling. 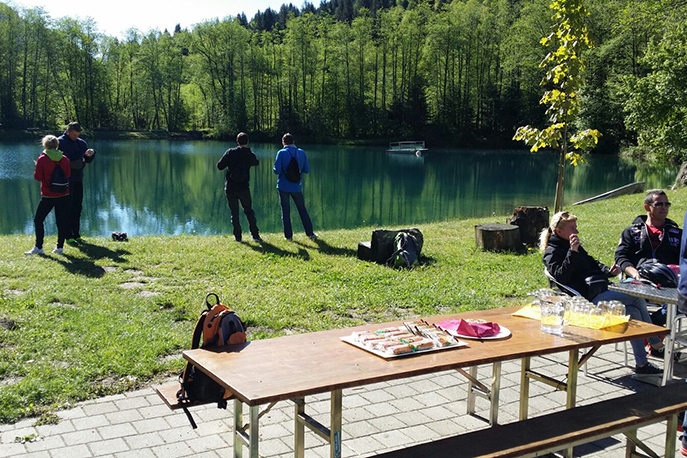 Why not enjoy the sunny canton to the full – we can also arrange accommodation for you and then you can go on a hike the next day or book further activities from the wide choice offered by eventerlebnis. Sports clothing suitable for cycling, possibly also a helmet, swimming things and a change of clothes.